Greg’s byline has appeared in the Village Voice, Salon, Guardian Observer, The Root, American Legacy, New Republic, Uptown, among others, including the New York Daily News, for which he was the jazz columnist for several years. As an editor, Greg has worked with Forbes Media’s American Legacy Woman magazine, and was the founding Editor-in-Chief of Harlem World magazine. In 1995, the New York Association of Black Journalists selected him as winner of the Critique and Review newspaper award for “Marsalis Trumpets Truth as He Sees It,” his review of Marsalis’s first book, Sweet Swing Blues on the Road. Greg was a featured writer in “Albert Murray and the Aesthetic Imagination of a Nation,” the first book-length study of the writing, work and life of blues idiom and jazz Renaissance Man Albert Murray. 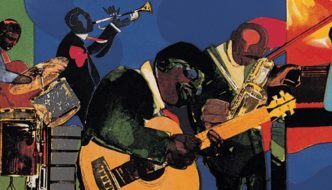 In May 2016 the University of Minnesota published Murray Talks Music: Albert Murray on Blues and Jazz, edited by Paul Devlin with the afterword written by Greg. Greg has been a producer and host on WBAI and WVOX radio in New York, and was on-air host and co-producer of two seasons of Jazz it Up!, an online jazz news and entertainment series. Jazz it Up! was nominated as finalist in the Outstanding Long Form-Entertainment category for National Academy of Television Arts and Sciences-sponsored Global Media Award. In 2016, Greg was host and curator of a four-part series for the National Jazz Museum in Harlem, “Jazz and Contemporary Culture.” On February 13, 2016 he presented an essay at an Albert Murray Symposium that he co-organized with the Center for Jazz Studies at Columbia University. 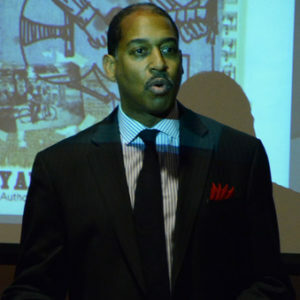 On Feb. 16, 2016 he co-presented, with fellow cultural journalist Greg Tate, a re-animation of a debate between Ralph Ellison and Amiri Baraka over the meaning of the history and practice of black American music, at Harvard University.